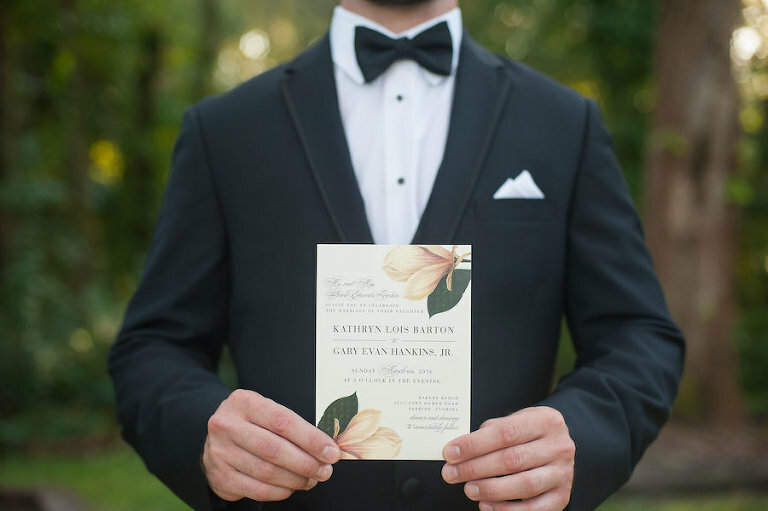 We love the warmth and traditions that southern inspired weddings bring and this Sarasota wedding styled shoot incorporated sweet tea, magnolia blossoms and old fashioned southern hospitality. 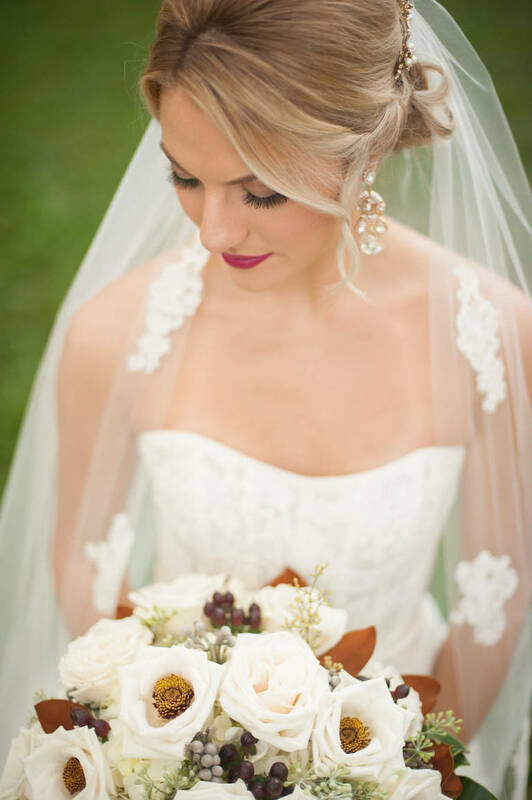 “I fell in love with the oak trees that surrounded the wedding venue. I grew up near Savannah, Georgia and the moss hanging down from the tree branches really reminded me of home,” Sarasota wedding planner Beth Clark of Cheers Events shared. 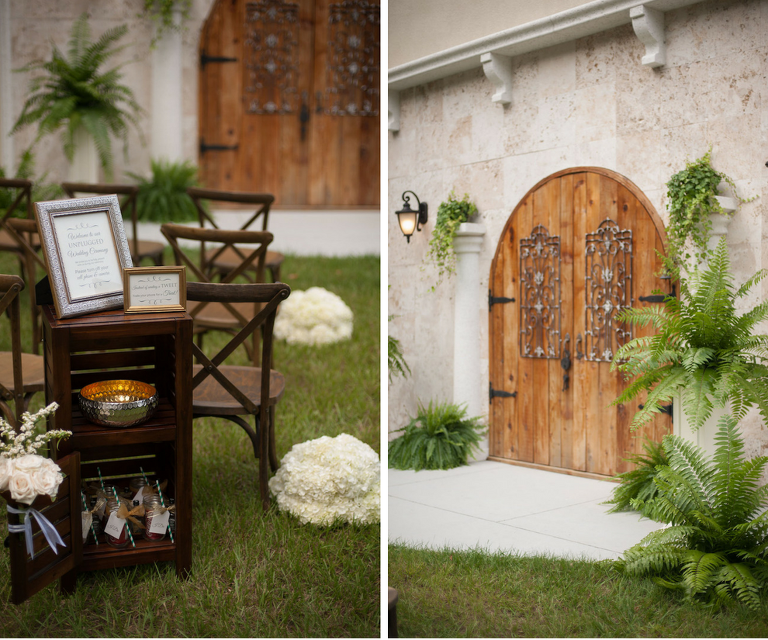 The outdoor Sarasota wedding ceremony featured French country chairs, large white florals lining the aisle and the venue’s dramatic European inspired entryway as a backdrop. To keep guests focused on the couple’s wedding vows instead of their cell phones, they were tempted with an old-fashioned southern staple, whiskey! 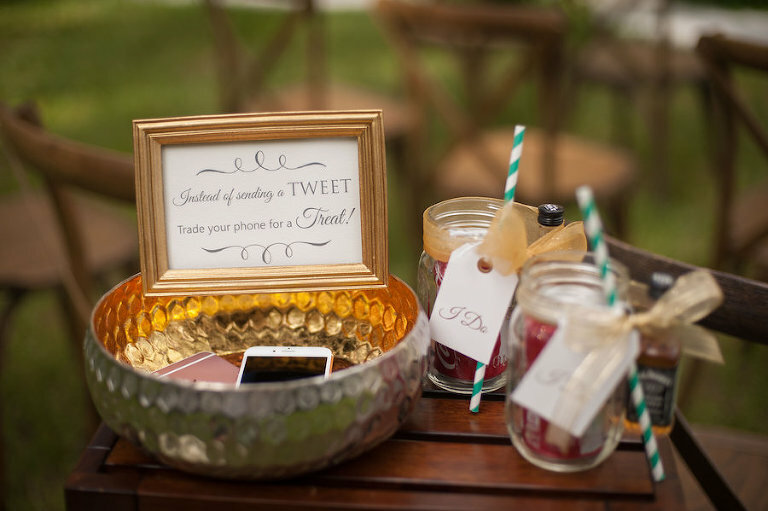 “At the end of the aisle, guests were given the option to ‘Trade their Tweets for a Treat,'” the planner explained. “For playing along and setting down their phones, they got to enjoy a famous southern cocktail, Jack and Coke, which was served in a mason jar. The southern inspired wedding brought the outdoors inside the reception with large amounts of greenery, nature influenced stationery and wooden mahogany feasting tables. What was your inspiration and how would you describe the theme? The inspiration for this shoot was really those gorgeous oak trees and all the memories they stirred up from my childhood in South Georgia. 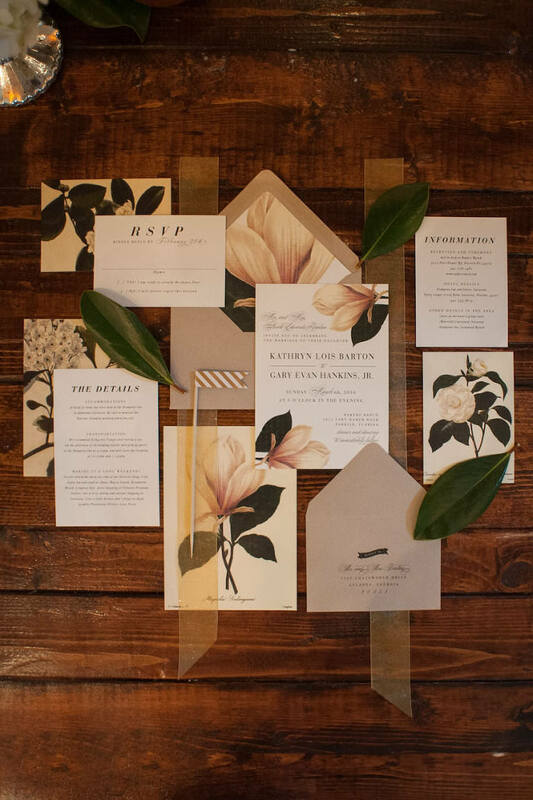 [The theme was] southern elegance with a cozy, family-oriented feel. We wanted it to be beautiful, but approachable. Mahogany, moss green, and vanilla, all colors pulled from the leaves and blossoms of a Magnolia tree. To help couples better understand Sarasota wedding pricing, how much would you estimate this wedding would cost for 150 guests? Venue: $3,900-$4,900 | Photography: $4,500-$5,000 | Flowers: $6,000-$8,000 | Custom Printing (Invitations/Placecards/Menus): $1,500-$1,800 | China & Stemware Rentals: $2,000-$3,500 | Chair & Table Rentals: $2,500-$3,750 | Bride’s Attire: $6,425 | Groom’s Attire: $250 | Custom Wedding Cake: $1,500-$2,000 *This estimate does not include all aspects of a wedding such as officiant, catering, favors etc.